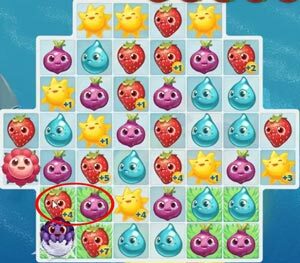 These Farm Heroes level 589 cheats and tips will help you beat level 589 of Farm Heroes. 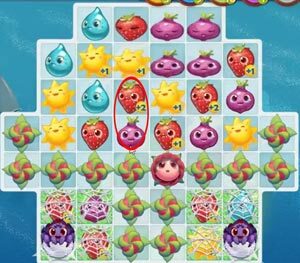 The objective of Farm Heroes level 589 is to collect 2 spiders, 100 yellow suns, 100 red strawberries, and 14 flowers in 17 moves. Farm Heroes Saga level 589 features a ton of tasks with not many moves. The first thing you need to do is plow through the flowers since they are blocking your acess to the spiders and grass. Create your three different matches alongside one and try do so so efficiently. Therefore, make the matches count towards your needed cropsies and bloom multiple at the saem time. To do this, you’ll need to create a horizontal match. Once you reach the bottom half of the board through the flowers, it’s time to exterminate the spiders. 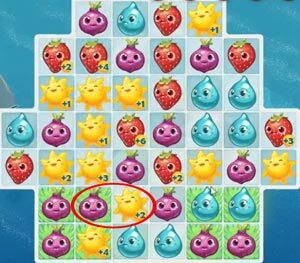 Keep this task as efficient as possible by making the matches count towards your yellow suns and red strawberries. Clear all the webs to gain acess to the grass. With the webs and spiders gone, you will have eight rsquares of green grass on the board. Use the grass to increase the worth of your matches.